The Gay Gamer: My prayers have been answered: Shining Force is coming to the VC! My prayers have been answered: Shining Force is coming to the VC! Of all the games Sega has ruined since it fell from the pinnacle of the gaming industry, its worst offence (in my opinion, obviously) has to have been its mauling of the Shining Force series. Everything seemed fine when Sega moved from the Genesis/Mega Drive to the Saturn (Shining Force 3 was a sight to behold, and Shining the Holy Arc and Dark Savior were similarly stunning), but once the company started releasing games for the PS2 and other competing systems, all bets apparently were off. 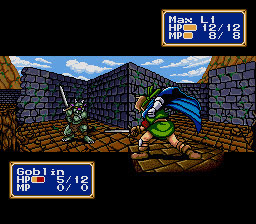 So, although I completely avoid anything Sega releases with the word "Shining" in the title these days, I still enjoy putting some time into the series' first releases: Shining Force and its sequel, Shining in the Darkness and Landstalker. Well, according to Gamefront.de, the first game mentioned above (Shining Force) is set to come to the Wii Virtual Console sometime soon. As far as I can tell, the site is referring specifically to a European release, but I have to imagine the game will come to the U.S. as well. Hopefully Sega is working on bringing all four games to our shores--and soon!